Hi There! Just a Bunch of Cards I Made! Hey Friends! I recently stopped by Joanne's and Michaels and I noticed that they are downsizing on their paper crafting section, especially Michaels. They no longer carry a wide variety of punches like EK Success (which I loved), they discontinued carrying Spellbinder dies, they no longer carry that many scrapbook papers like K&Co. I think it's the CAS trend of card making and Project Life style of scrapbooking that is leading to the down sizing. I know it's the trend right now but wow, I feel they killed the paper crafting industry. For people like me who still like to use designer papers and punches, bows and embellishments, it saddens me a bit to see how limited the selections are now. Even the rubber stamping businesses are closing shop. Ugggh! I know simple is good in a different way. . .it's faster to create cards and scrapbook layouts and also less expensive because you don't have to buy as many items, but gosh, in my opinion, it haven't been good for the paper crafting industry. Thankfully, I still a lot of scrapbook papers, punches, dies and rubber stamps to last me a lifetime! 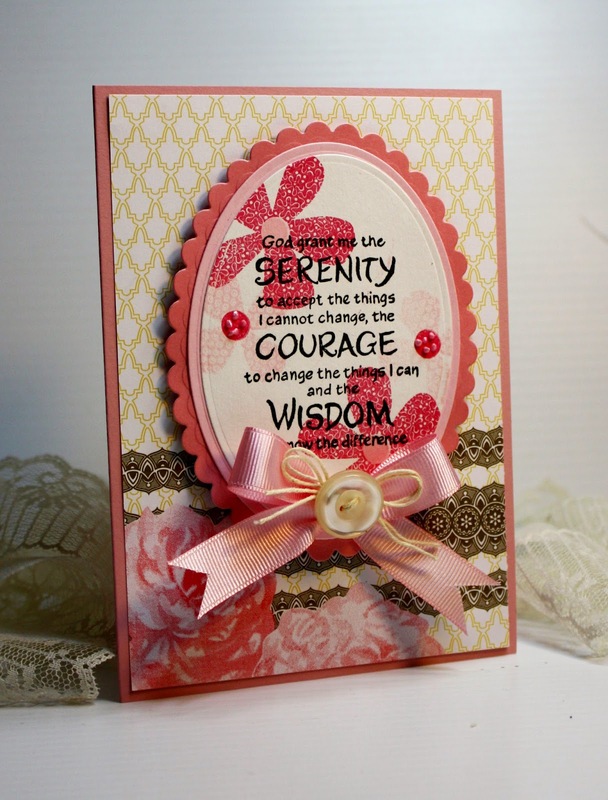 Anyway, just my thoughts with what is going on in the paper crafting world. Just a brief information about the cards. 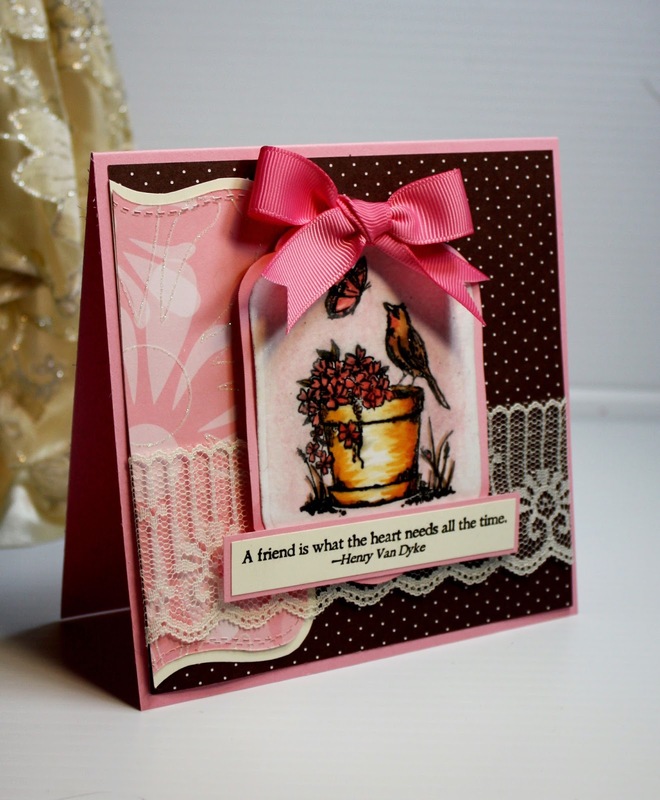 . . for the first card above, I used Penny Black for the image and Magnolia stamps for the second card. 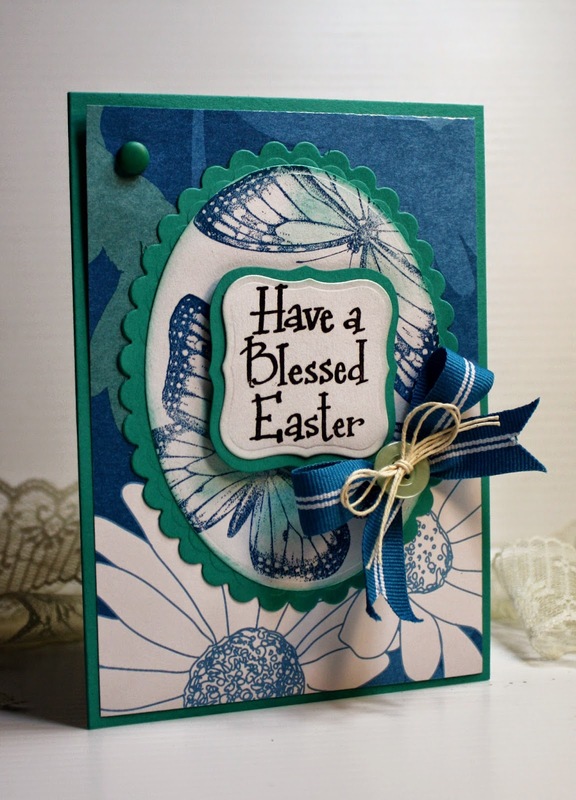 For both cards, I used retired Stampin Up designer papers. . . which thankfully I have a ton of. 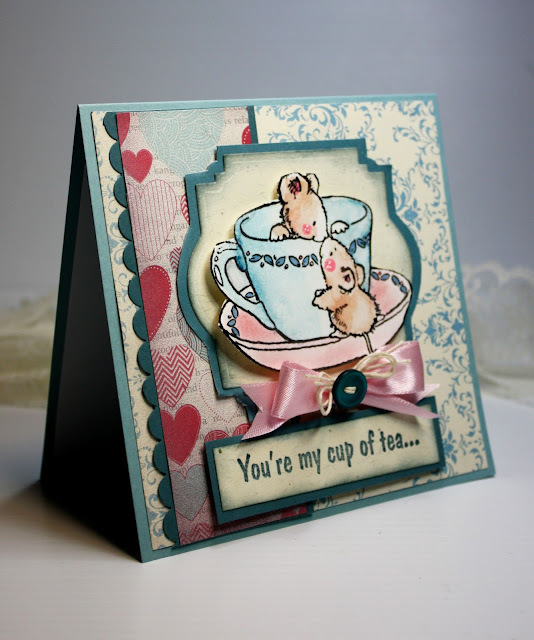 With this card, I also used Penny Black. The designer papers are by DCWV which I also have a ton of! I have a ton of everything. . .I probably can open my own paper crafting store with all the stuff I have. Anyway, that's it for now. I'll blog again when I have the time. Hope you all have a wonderful day!! Hi Friends! Gosh, it's been a while since I last blogged. I'm finally done with my classes and on summer break. It's nice to have a break from writing papers and studying. It's been over a decade since I last was in college and it's been hard to get back to studying mode, especially writing papers and such. I normally don't make masculine cards but I did make a few a while back and wanted to share them. It's hard not to add a bow on my cards. . . that's primarily the reason why I don't make too many masculine cards because you have to keep it simple. Distressing the card is a great way to design a masculine card and using baker's twine rather than ribbon. I don't have too many masculine image but geese flying I guess is a good masculine image. 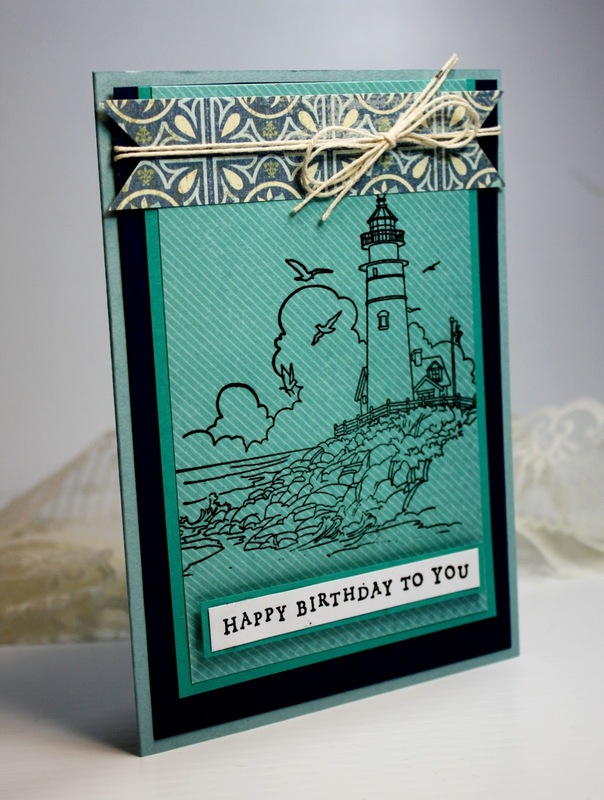 Black and white with a touch of blue is another way to keeping a card masculine. This is simple I could get. LOL! 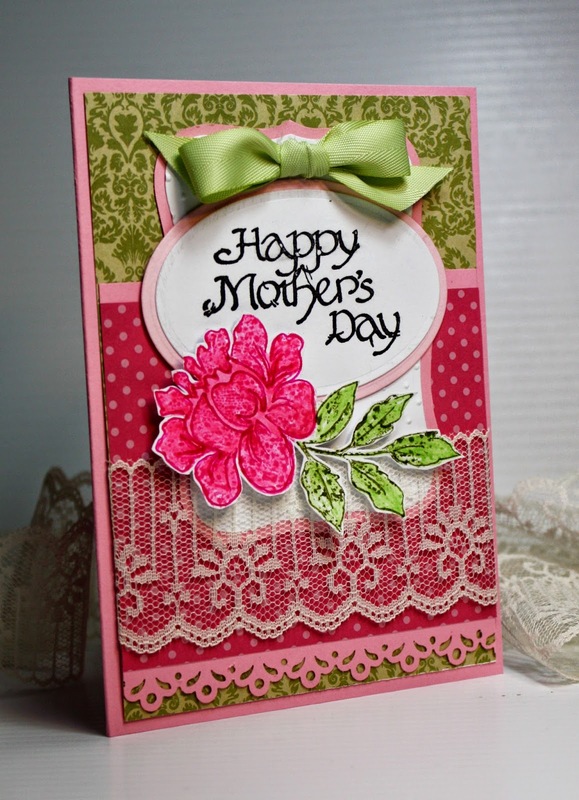 I did use a ribbon so it satisfied my need to add embellishments to the card. Copper colored brads are great embellishments for masculine cards. That's it for today. Thank you for stopping by my blog. Hey There!! It's me again! I actually have time off today from my school assignments. The week starts all over again but it's a free day for me so I decided to blog something. The cards I've posted are actually larger cards from the typical A2 card size. These measure 4.5 x 6.25". I had a bunch of Stampin Up envelopes that I wanted to use up so I made these larger cards. I actually prefer it from the A2 (4.25 x 5.5") size cards because there's more room to work with. I have a lot of "sentiment" stamps that I really would like to work with. They're too large to use as a sentiment along with large images so I've been trying to incorporate images into the background of the sentiment designs. Flower images really make for good background images for sentiments. 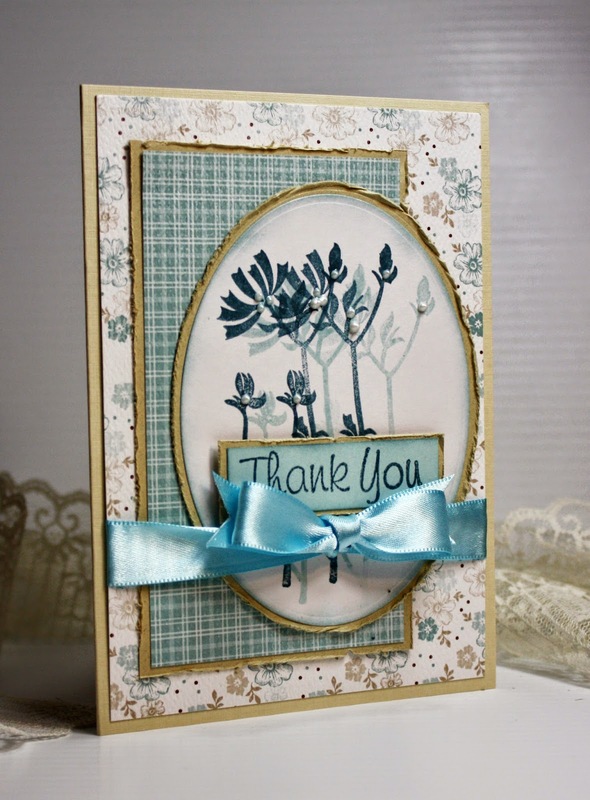 The fern images in the background are by Stampin Up. 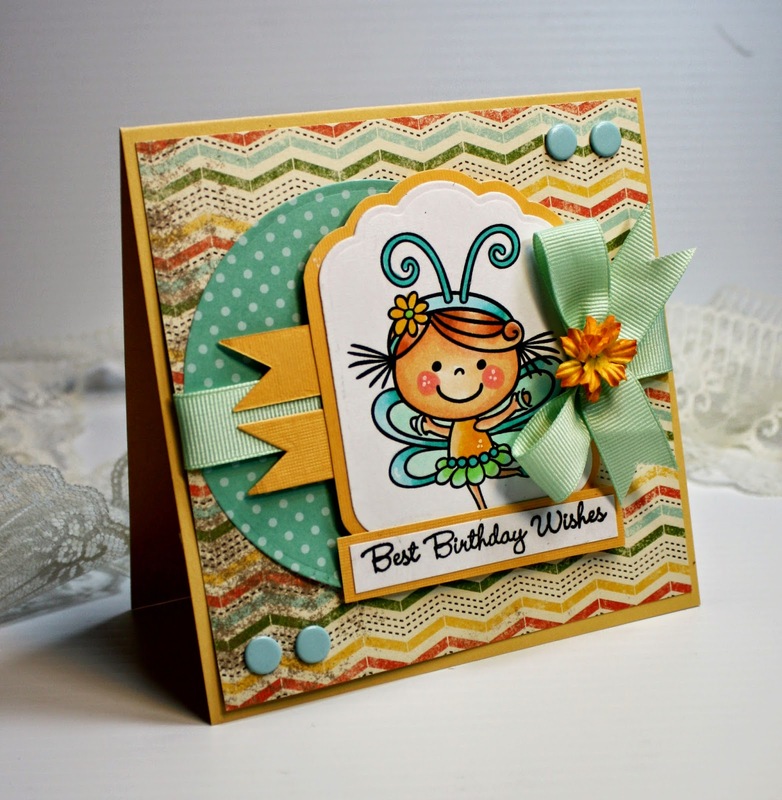 The butterfly images are by Stampin Up as well. I don't know who makes the rose image for this card. I used a clear stamp but I threw away the packaging and now I can't remember the brand. Sometimes clear stamps are difficult to use with markers. They give that splotchy appearance on the image so I had to fill it in with Copic Markers. I actually like the effect though. 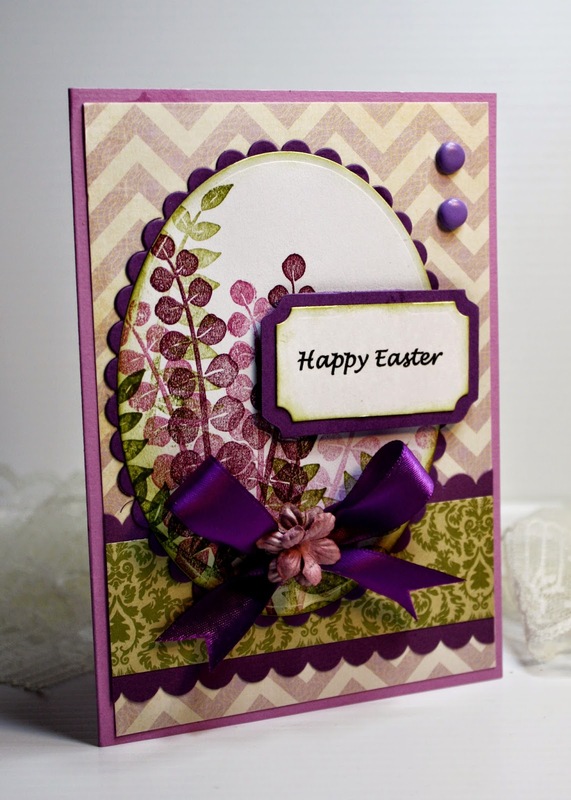 The image on this card is by Flourishes and the paper is by Stampin Up. I added dots to the image using iridescent paint. Anyway, since it's my free day I think I'm going to spend my day making cards. It'll be a fun day for me. I hope everyone has a beautiful day!! Hi there Friends! I felt like blogging something today. I'm back on my Fitbit routine. On my last post I mentioned that I use Fitbit to track my walking and other activities as well as my caloric intake. I went off it for about 2 weeks but I'm back on tracking my steps again. Trying to lose weight and exercising regularly is such an effort. My day actually revolves around it sometimes and it can get exhausting. It's no wonder people can't stick to a diet or exercise routine. The key is to not get to a point where you have to go on a diet and exercise is actually a normal life routine rather than something that you have to work at incorporating in your life. I hope to get to that point one day. In the meantime, it's a struggle. Anyway. . . .I'm sharing a bunch of cards I made in February. 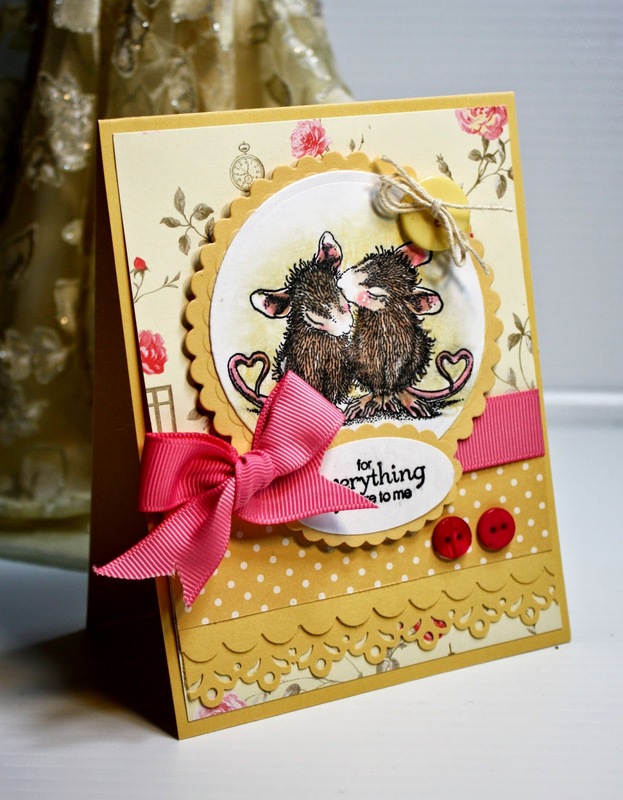 I do make cards regularly but I no longer blog them regularly. I'm still old school when it comes to making cards. I haven't jumped on the CAS bandwagon. Honestly, the CAS trend is killing the papercrafting industry. . .LOL! I went to Joanne's a few weeks ago and I no longer saw the EK Success punches. I love them! I also saw less of a selection of scrapbook papers. I didn't see any K&Company papers. I think they stopped making designer papers which I find very sad. I loved their paper designs. 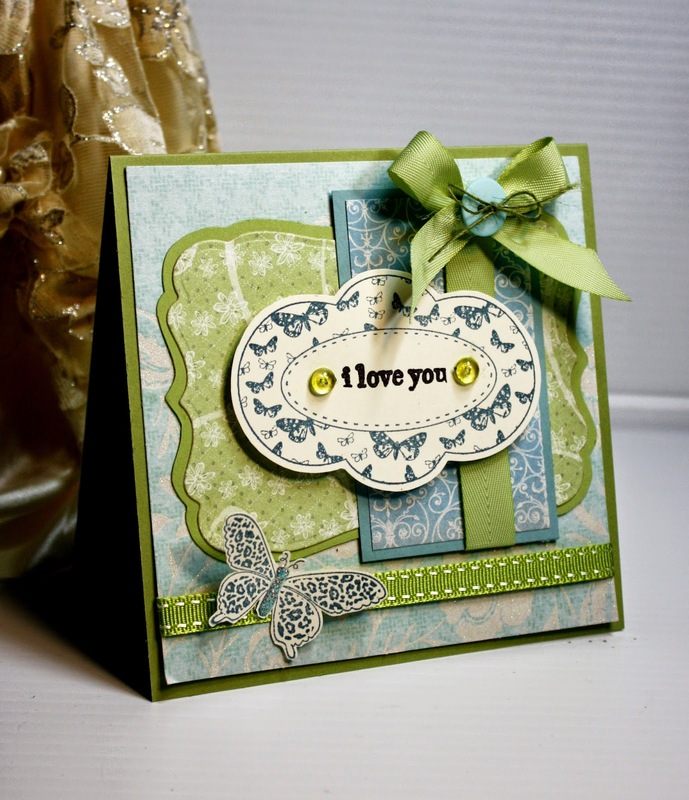 A lot of paper crafting businesses have closed down. I think the scrapbooking industry has suffered the most by this CAS trend. 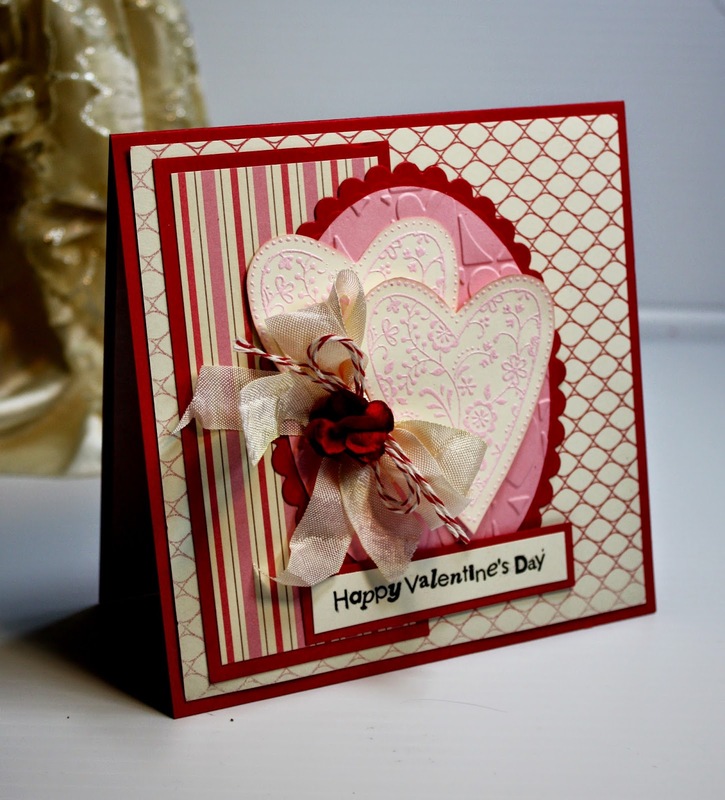 For consumers, it's a good thing because you no longer have to buy a lot of supplies to make a card or scrapbooking so it's good for your wallet. Personally, I want my cards to look like I made them not emulate printed cards. I love blings and pretty paper designs. 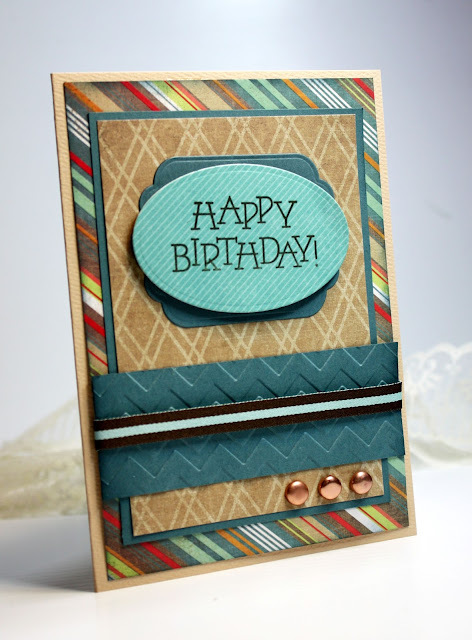 I like my cards layered with bows with lots of pretty colors. Anyway, that's just my opinion. 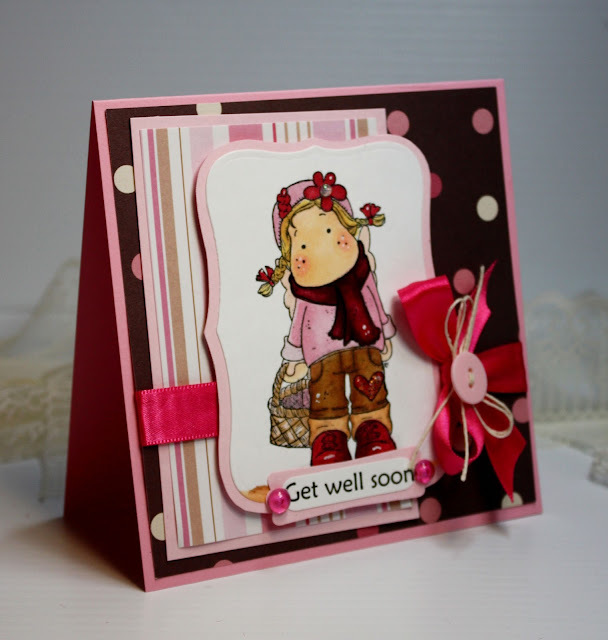 The image on this card is by Penny Black. 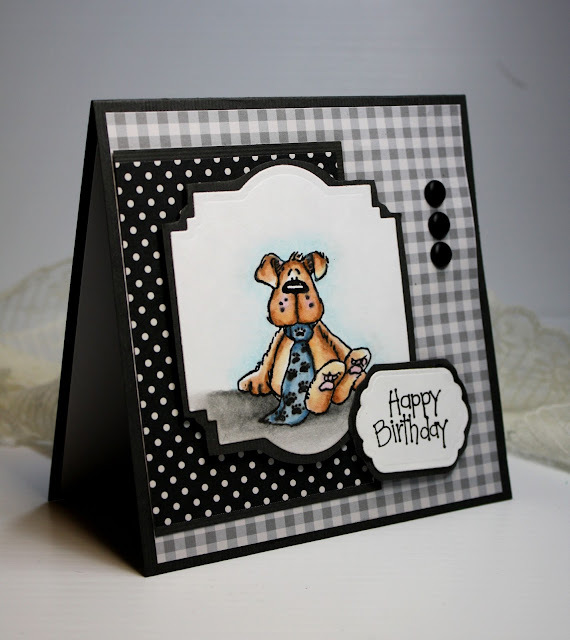 I love Penny Black images. They have really cute animal stamps. 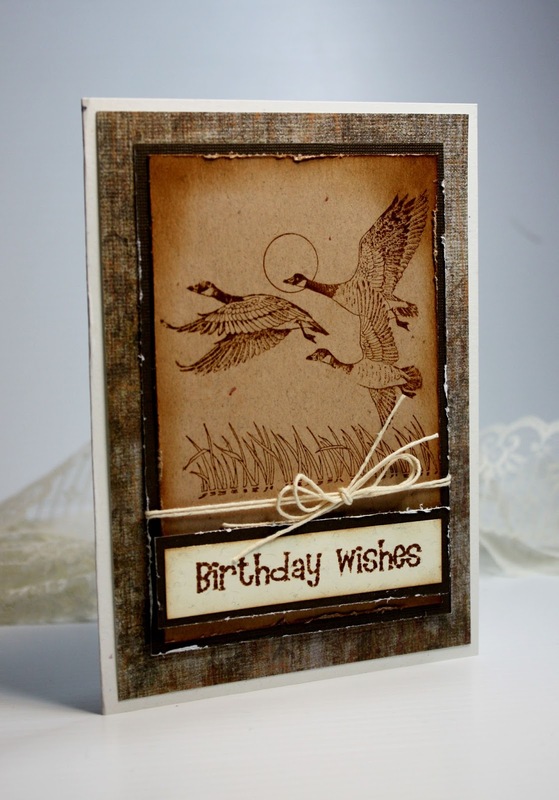 The image on this card is by Whipper Snapper. They also have very cute animal images. The image on this card is by the Greeting Farm. 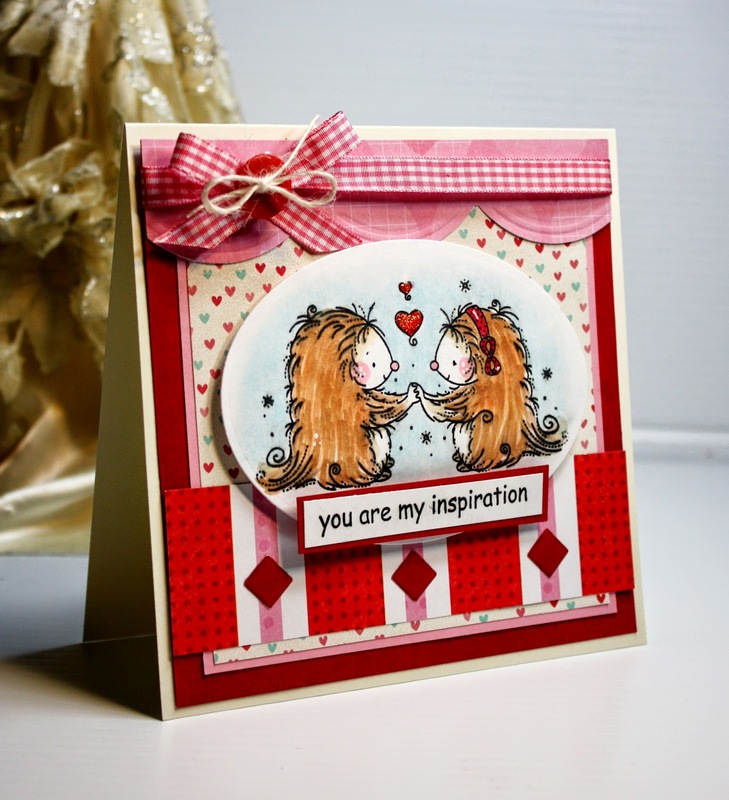 Awww and the image on this card is by Pink Cat Studio. That's it for today. I have a paper to write for one of my classes. I have so many papers to write, reading assignments, and projects to do. This quarter has been a struggle for me. I can't wait to finish. I'm hoping to complete the program by May. I have thought of getting my Master's degree but after going through this certificate program, I'm not quite sure I could handle it. I love learning but I don't love writing papers and graduate school requires a lot of writing so I'm not sure it's something I want to do anymore. The future is uncertain right now but I'm trying to see the light at the end of the tunnel but lately, it's been a bit of difficult to see it. I'm just hoping things will work out and good things will come my way. Thank you for stopping by and hope to blog again real soon! Hi Friends! Gosh it's been a while. I was hoping to blog regularly but I guess that won't be happening. My classes started last month and there are so many reading requirements, papers, and projects that I haven't had time to do a lot of things that I typically do. The load is heavier this quarter than it was in the last quarter. I did make a few cards this month whenever I was able to squeeze in the time. I also started on a fitness journey. I bought a Fitbit. For those who don't know what that is. It's pretty much a pedometer that syncs with your phone so you can keep track of your steps. You can also connect with friends online to encourage one another. I was doing really well up until about a week and half ago when my class assignments started piling up and I went off track a little. I'm very disappointed that I haven't been walking or keeping track of my intake the past 2 weeks when I was doing so well last month. I did manage to lose 13 lbs so I'm happy about that. I'm hoping to get back on track again. Anyone have a Fitbit? 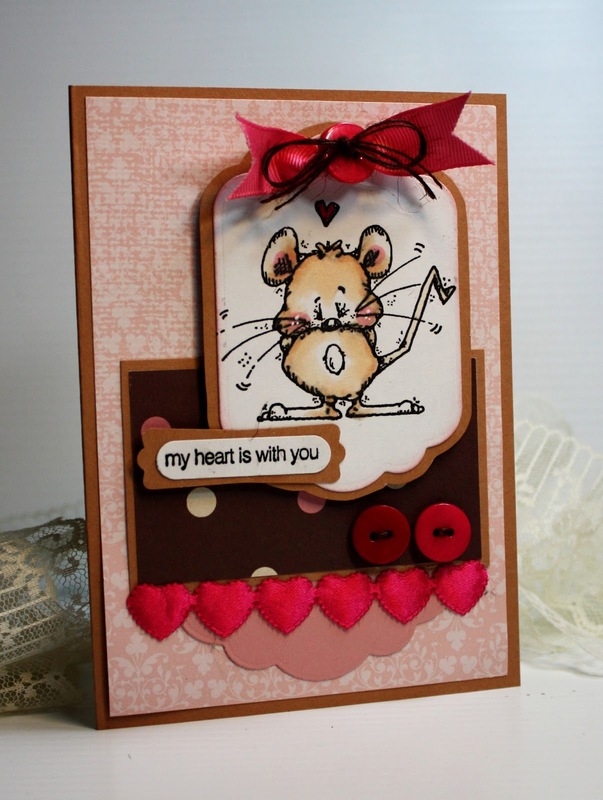 I did work on a bunch of Valentine's Day cards and other cards. 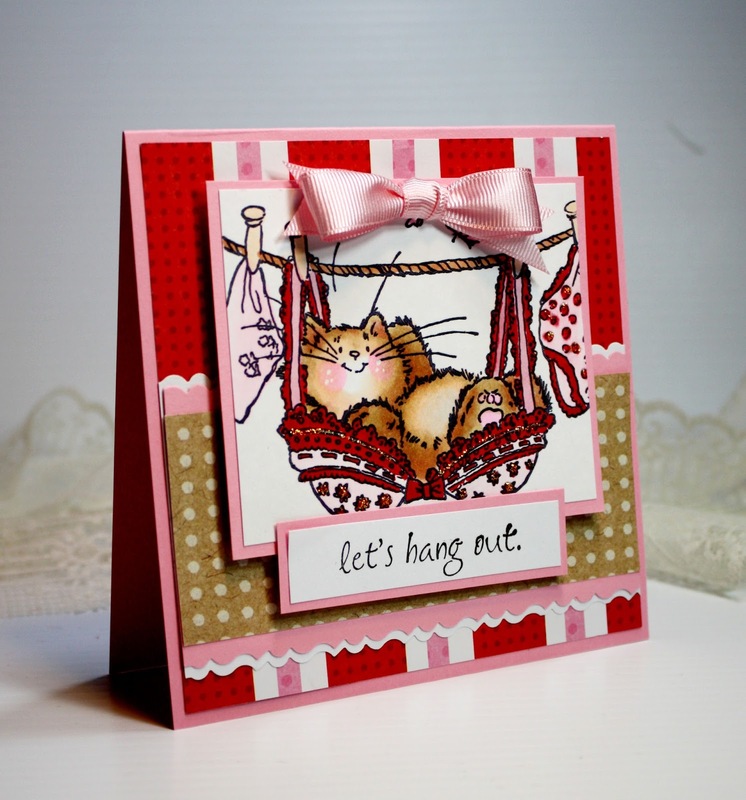 The images on both cards above are by Stampin Up. I've been trying to use a bunch of my older rubber stamps. It's a shame to not use them. I'm going to start selling a bunch of my craft stuff again. I have been selling a few on Ebay occasionally but I really need to work on downsizing my stuff. I have too many things I really don't need anymore. I no longer have the luxury or time to use them. I miss the days when I could freely craft whenever I felt like it. With this card I used my Unity Stamps. I have a bunch them that I need to use. I'm thinking of letting go a bunch of my Unity Stamps. I'll let you folks know once I start listing them on Ebay. 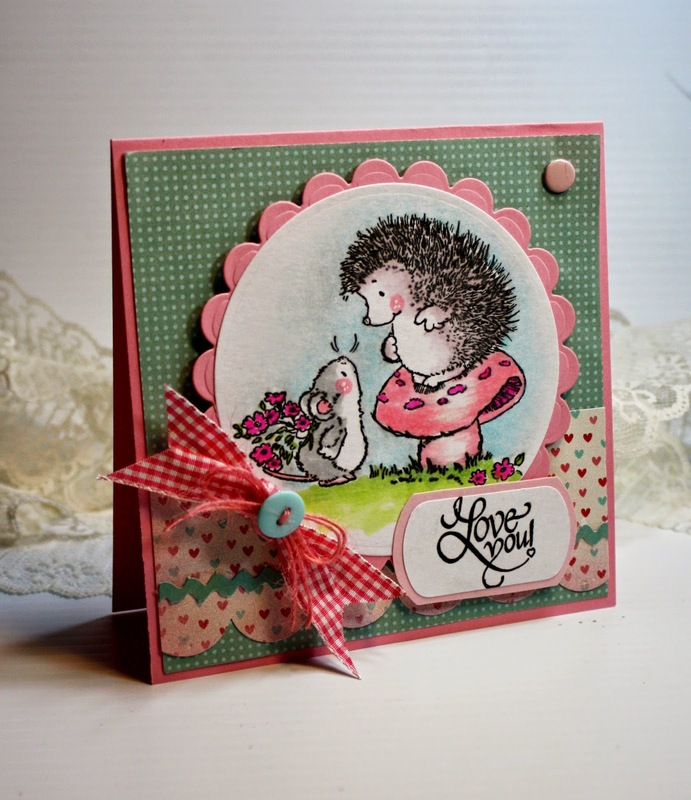 For this card I used a Rachelle Anne Miller stamps and colored it with Copic Markers and Prima Color Pencils. I used Unity Stamps for this card. This is the first time I've used these images. 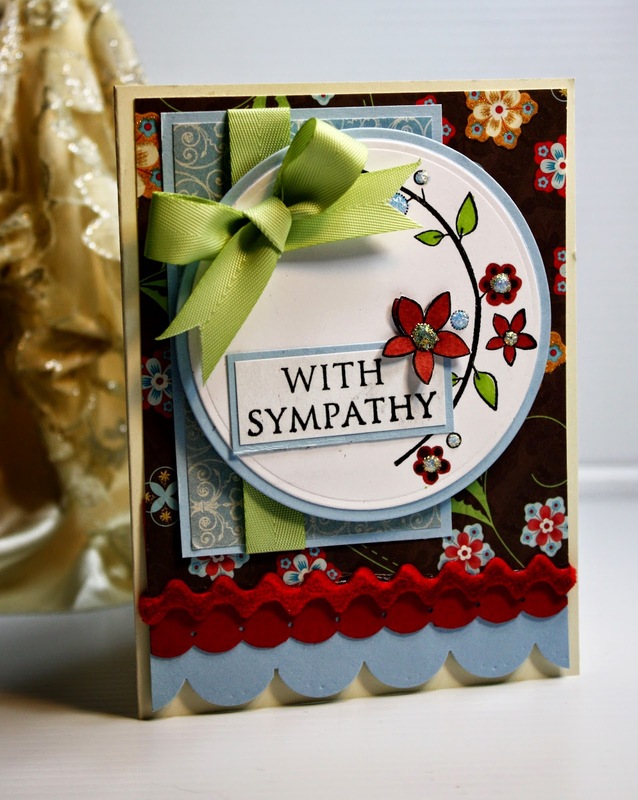 The sentiment on this card is by Inkidinkado. The ones that they sell at Joannes. I have a lot of them. I remember I would head to Joannes and buy a whole bunch of them at a time. I no longer buy too many things anymore. I have just way too many things I bought that I haven't used and I need to focus on those items rather than buying more of them. 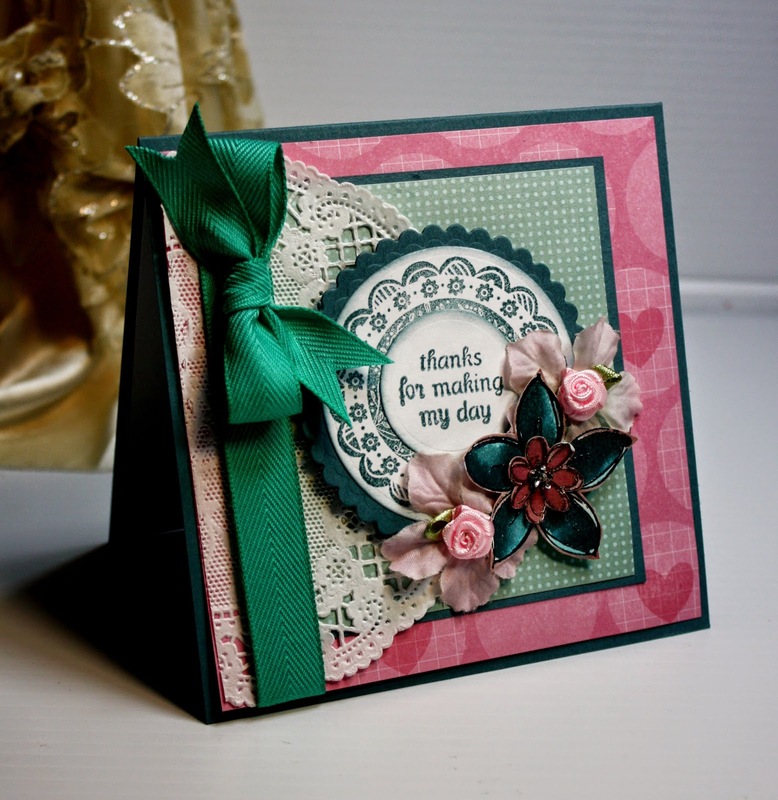 The flower image is by Stampin Up and I added beads to the center of the flower. Anyway. . .I have bunch more cards that I made. I'll share them on another day. I hope you all have a wonderful day!